Look at the career statistics for Adrian Beltre, and you might be surprised to see how much money he’s made. After going to Texas and signing his newest five-year, $80 million contract (with a $16 million vesting option), Beltre will have earned close to $200 million (at least) by the time his career ends. And yet right now, his career batting average is a mere .275 and he’s averaged about 23 home runs per full year. The truth is, he’s probably been worth the money (if not high fantasy picks most seasons) for two reasons: his glove and the offense-suppressing ballparks that have made his numbers look worse than they’d be most elsewhere. R.J. Anderson will take a look at the value of Beltre’s excellent glove later this week. For now, let’s take a look at Beltre and his relationship to his home parks over his career. 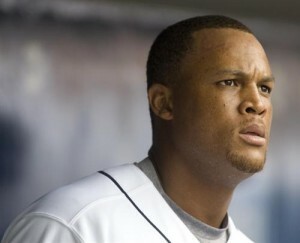 Beltre didn’t like hitting in Safeco field. He’s a right-handed pull hitter and the park factor for home runs by a right-hander in that park is just 84 (100 is average). That kept him to a .253/.307/.409 line in 363 games in Seattle – 1406 at-bats that helped suppress his overall value in fantasy leagues. That modest work came after 489 games and a .253/.316/.423 line in spacious Dodger Stadium (which had a 92 park factor for right-handed home runs last year). What happens to his overall numbers when you take out those 3076 at-bats? Away from Safeco and Dodger Stadium, Beltre has hit .293 with 26 home runs per 600 at-bats. And, as he showed with his .325 batting average and 28 home runs in Fenway, Beltre can be even better if given an extra boost by his home park. Fenway had a 95 park factor for right-handed home runs – and a 130 park factor for right-handed doubles. That helped Beltre put together his second-best batting average and clear his previous high in doubles by eight in a great year for the Red Sox. His new stadium in Arlington has a 105 park factor for right-handed home runs (105 for doubles), and Beltre will surely enjoy calling such a park home. The .331 batting average on balls in play in 2010, in the face of his career .294 BABIP, probably means that his batting average will fall in 2011. His new park won’t allow him to pepper the Green Monster with doubles any more. But while the batting average falls, the power might surge. A home park that is 10% friendlier for home runs will help his case. Bill James projects a .283 batting average and 24 home runs for Beltre in 2011. Up the home run total since his new home stadium is now determined, and that looks about right. Take Beltre in the early rounds of your draft (especially given the position scarcity at third base) and profit off owners that put too much credence in his overall career numbers. Brandon Webb averaged 33 starts a season from 2003 until the 2009 season. He’s made one start since (on Opening Day of the 2009 season), as a shoulder injury sidelined him for the duration of the 2010 season. After 199 appearances with the Arizona Diamondbacks, number 200 and beyond will come as a member of the Texas Rangers. Webb signed a one-year deal with Texas, heavy on incentives, over the holiday weekend. The accompanying peripherals suggest both Dickey and Hernandez weren’t as good as their ERA suggests. Next, comparing Webb to Dickey is a bit ridiculous. Dickey lives and dies with his knuckler – which makes him odd. Even odder is that he lacks a UCL in his throwing arm – i.e. the ligament operated on in Tommy John surgery. Comparing Webb to Hernandez is imperfect as well. Hernandez is notorious for his pacing and relative lack of stuff, getting by for years on guile and durability. That Webb fits into his own category isn’t surprising. What that means, though, is that he should be approached carefully. Depending on spring reports, he could become borderline rosterable in deep AL-only leagues,. But for now Webb is not a suitable fantasy option, until proven otherwise. In one of the first articles at Bloomberg Sports, we wondered if Wilson could physically handle the transition from reliever to starter, and more importantly, if his stellar stats would follow. Wilson answered those questions by tossing 203 innings and going 15-8 with a 3.35 ERA in 33 starts. Wilson did lead the league in walks allowed. Still, he allowed just 10 homers all year and showed great durability. The move was certainly a success for the straight edge racer and the Rangers. After spending 2008 and 2009 away from the major leagues, Lewis returned in a big way in 2010. Although he finished with a 12-13 record, his 3.72 ERA in 201 innings amounted to one of baseball’s biggest surprises. With nearly a strikeout per inning and less than three walks per nine, Lewis’ success was no fluke. He won’t surprise anyone next year, so plan accordingly. Feldman enjoyed a breakout season in 2009, going 17-8 with a 4.08 ERA in 31 starts. He came crashing down to earth in 2010 as he went 7-11 with a 5.48 ERA in 22 starts. Feldman’s strikeout rate was poor in 2009 (5.36 K/9), but was even worse in 2010 (4.78). Although he might see some positive regression in 2011, it shouldn’t be much. Feliz completed the opposite transition of C.J. Wilson, as the one-time starting pitching prospect became one of the AL’s best closers. The 22-year-old saved 40 games in 43 opportunities. His strikeout rate dropped from double digits in 2009, but was still better than league average (9.22 K/9). He did a stellar job of limiting walks (2.34 BB/9) and kept the ball in the yard (0.65 HR/9) despite his home stadium. There are talks of him one day resuming his starting role, but regardless of role, his live arm is worth keeping around. With a record of 13-4 and an ERA of 3.73, Hunter definitely caught some people’s attention. But really, Hunter is another Scott Feldman waiting to happen given the two pitchers’ very similar peripherals. In fact, Hunter posted an identical strikeout rate of 4.78 Ks per nine innings. He did post a nice walk rate, but gave up nearly 1.5 home runs per nine. In addition to BABIP regression, Hunter also stranded 80.7% of batters. The league average is 72.2%. Let someone else in your league deal with all that regression in 2011. For more on C.J. Wilson and the Texas Rangers’ rotation checkout Bloomberg Sports’ Fantasy Kits.